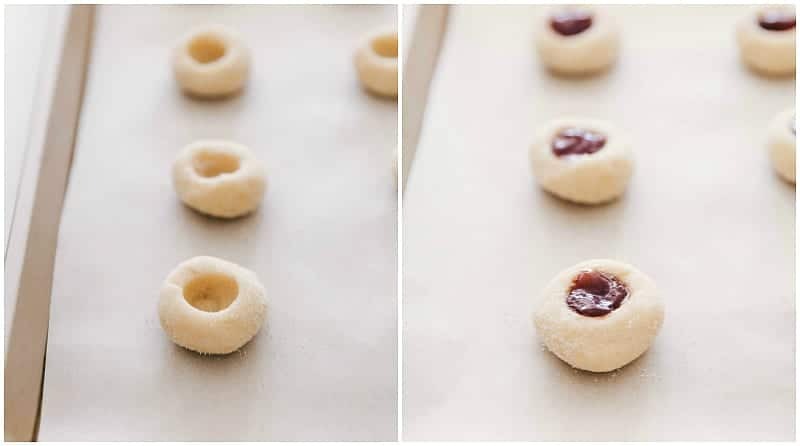 Amazing raspberry-filled and almond-flavored shortbread thumbprint cookies. These jam thumbprint cookies are irresistibly good and perfect for a holiday cookie platter! Plus I’m sharing all my secrets to making these cookies the best – from what jam to use, to when to chill them, and rolling the cookies in sugar before baking. If you’re assembling a cookie platter, you’ll want to make sure these thumbprint cookies are accompanied by these snickerdoodle cookies, these oatmeal chocolate chip cookies, and these peanut butter cookies. A few months ago I showcased a few recipes at a local department store’s grand opening. After brainstorming for a bit, I decided on these Raspberry Thumbprint Cookies, along with this Pistachio Crusted Goat Cheese Ball. I worked on these cookies incessantly in the weeks leading up to the event to ensure they were perfect! While we made plenty of the cheese ball – and it was quite a hit – we did not account for how crazy people would go over these thumbprint cookies. Within 10 minutes, all 300 hundred of these cookies were devoured. People kept coming back after hearing about them from others and were devastated to hear they’d missed them. Needless to say, these really are the BEST thumbprint cookies. The raspberry and almond combo are unparalleled and are sure to be a huge hit at your next get together. How do you make jelly cookies? 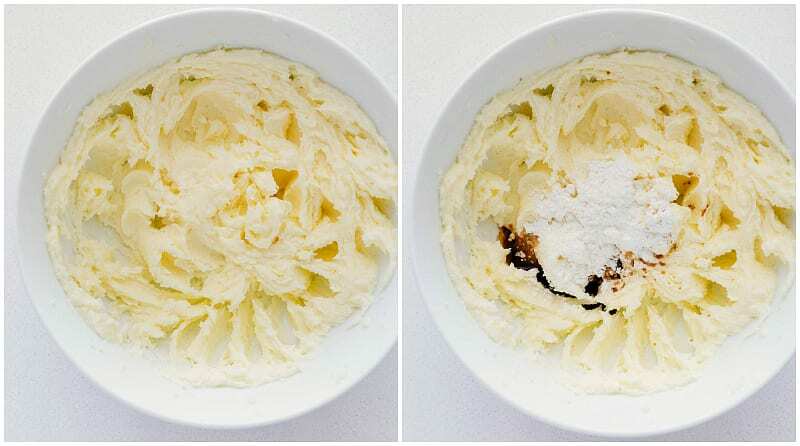 Start by beating room temperature butter and sugar together. It’s very important the butter is room temperature and not melted. Here’s why. Next add in the baking extracts (SO much flavor! ), cornstarch, and salt. The cornstarch is going to keep these thumbprint cookies super soft. Finally add in the flour. You want to make sure you don’t overmix once you add in the flour as that will result in denser cookies. Most shortbread recipes call for chilling next, but I’ve found it’s best to shape the cookies while the dough is easy to work with! Measure your cookie balls, roll in sugar (optional), form the indent in the center, and THEN they’re ready to chill! After the cookies are chilled, you can add in that jelly center and bake! Read on for tips to make these cookies the very best. 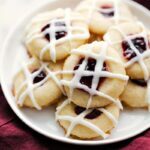 Using the right kind of jam: The jam is the main burst of flavor that sets these cookies apart. You could use any flavor of jam you’d like (strawberry, mixed berry, blueberry, peach, etc.). I like raspberry because it compliments the almond flavor of these sugar thumbprint cookies. Once you have your jam make sure to use SEEDLESS to keep the focus on the delicious cookies and not those pesky seeds. Two kinds of extracts: vanilla extract is usually a given for cookies, but these cookies also have almond extract. These two extracts combined amplify your cookie’s flavor. Roll the dough in granulated sugar: before chilling, I like to roll the cookies in sugar. Not only does it make these even prettier, but it also adds another element of flavor, sweetness, and improves on the texture. 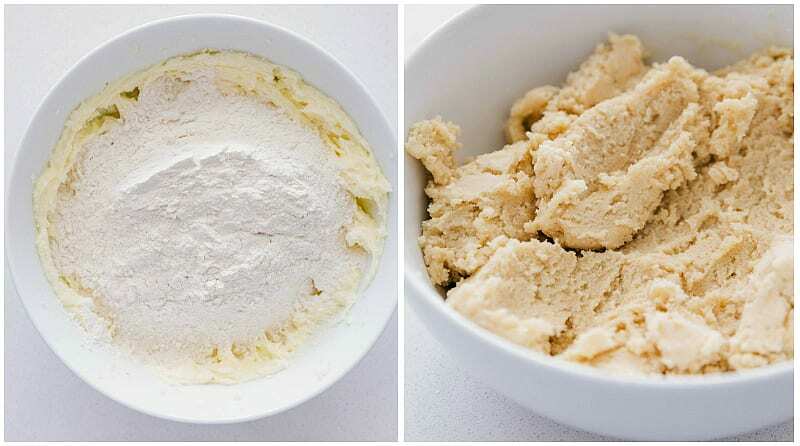 Chilled dough: This dough get chilled for a bit before baking which allows all of the ingredients and flavors to meld. Just like marinating meat before you cook it makes it more flavorful, the same with these cookies. It allows the flavors to meld together and get more flavorful. For these cookies, I actually found shaping the cookies first and THEN chilling the shaped cookies worked best. While they’re soft and un-chilled they shape a lot easier and crack a lot less than when the dough is cold. So shape, cover, and chill! 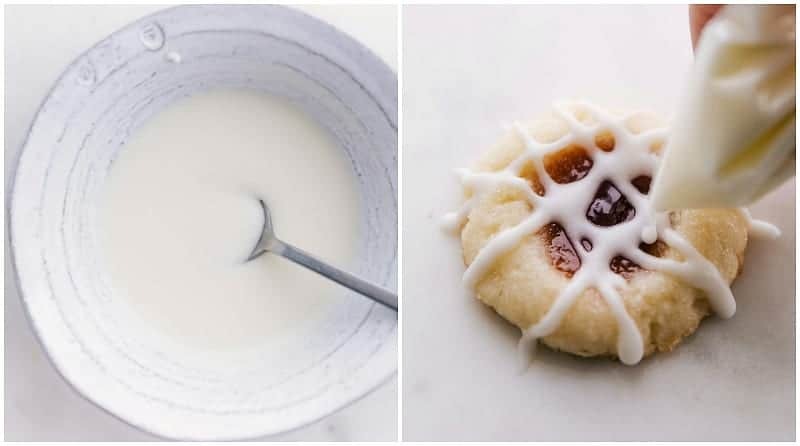 Since we’re chilling without the jam in them, I then also like to chill for another 10 minutes or so after filling these cookies with jam. You want the cookies very cold and firm before going into the oven. Using REAL butter and beating it with the sugar: Butter gives these cookies body, texture, and flavor. By beating it with the sugars at the start you’re fluffing up the butter with air which gives these cookies that perfect foundation for a great texture. Margarine won’t cut it for these! Can you make these cookies ahead of time? These thumbprint cookies are great for get togethers and events because you can make them ahead of time. All you need to do is make the dough, form them into the cookies (with the thumbprint) and freeze them. They’ll last anywhere from 3-6 months in the freezer. Once you are ready to bake them, just pull them out of the freezer, add the jam, and stick them in the oven. As far as baking the cookies ahead of time, these are best within 2 days of being made. The uncooked dough freezes beautifully for 3-6 months. Completely formed cookies, however, don’t freeze very well and neither does the glaze. How long do you cook thumbprint cookies? The bake time for these cookies is very important — too long of a bake time and these cookies will be crumbly, hard, and a bit flavorless. You want soft, chewy, and delicious thumbprint cookies which is around 8-10 minutes. Every oven is different so make sure to watch the cookies carefully near the end of bake time. You’re looking for barely golden brown edges. 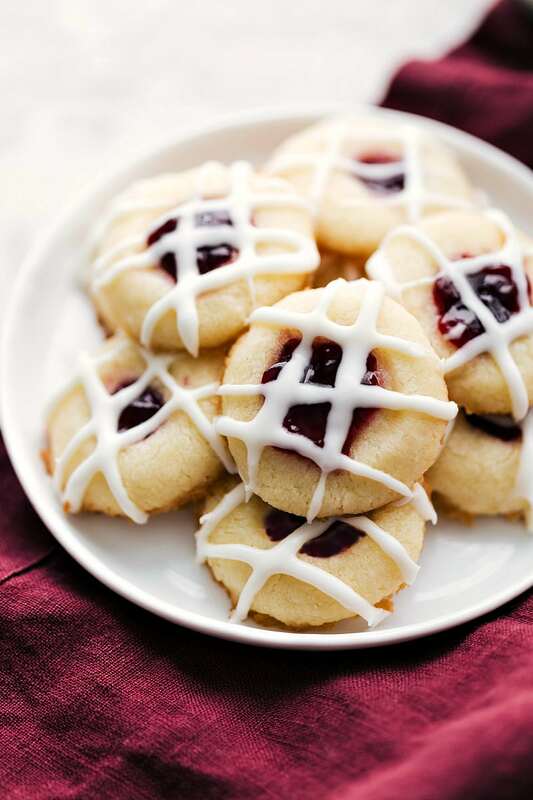 Amazing raspberry-filled and almond-flavored shortbread thumbprint cookies. 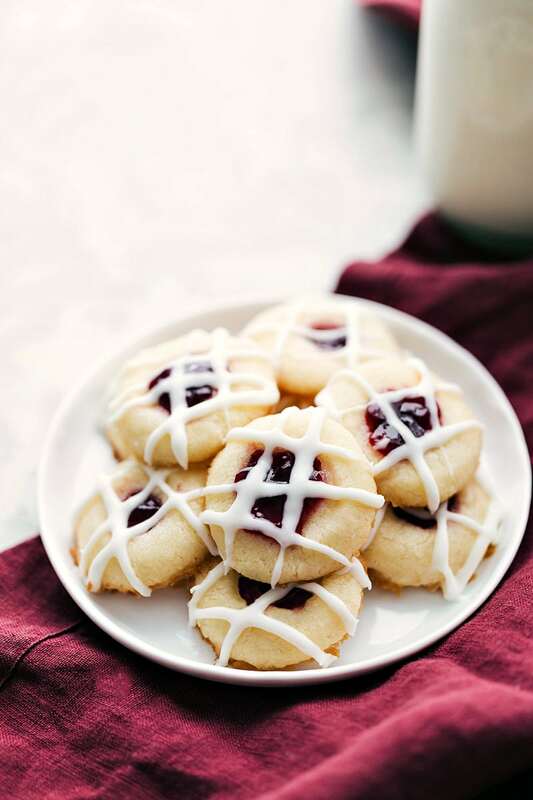 These jam thumbprint cookies are irresistibly good and perfect for a holiday cookie platter! 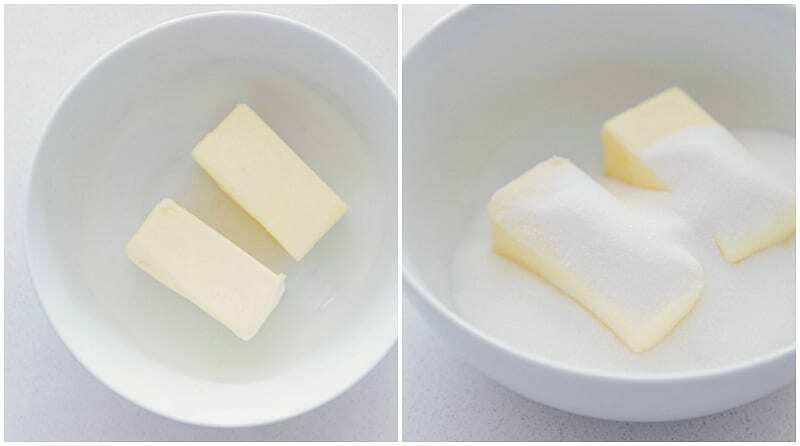 In a large bowl, add the room temperature butter and sugar. Beat at medium speed until smooth and creamy, scraping the sides as needed. Add in the almond, vanilla extract, cornstarch, and salt and beat until combined. Add flour into the bowl. Beat together at low speed, scraping bowl as needed, until ingredients are all combined. Do not overmix. 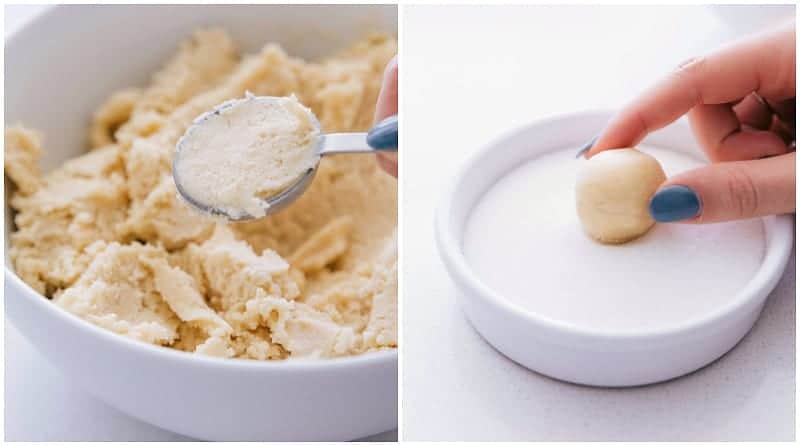 Shape the cookies into small balls -- the size of 1 tablespoon (I use a tablespoon measuring spoon to form and measure balls) and then if desired, roll the cookie dough balls in the 1/2 cup granulated sugar until coated. Next, gently Indent the center of each cookie dough ball with your finger. Place these cookies 2 inches apart on a silpat or parchment paper lined cooking sheet. Cover and place in the fridge for 1 hour (or freeze for 30 minutes). Remove from the fridge and add jam to fill (but not over fill) the centers of all the cookies. Return to the fridge for 10 minutes. Remove cookies to a cooling rack and allow them to cool completely. Meanwhile, prepare the glaze by whisking all the ingredients together in a bowl until smooth. (Add heavy whipping cream or milk until you've reached your desired consistency; I like the glaze on the thicker side). Drizzle the glaze over the cookies and allow to set. 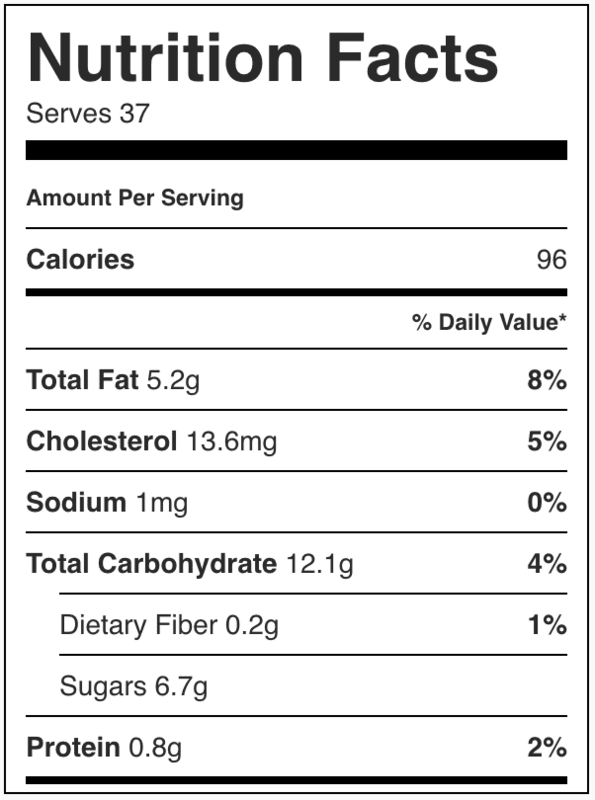 Cookies best enjoyed within 3-4 days; store in an airtight container.